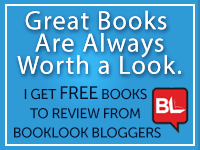 Urban Book Reviews is a place that allows writers to submit their books to be read, reviewed, and featured. The sole purpose of Urban Book Reviews is to read the latest works of new writers, all in one place. Works being submitted should be in one one of the following formats for review: print copy, mobi, PDF, or a kindle gift copy. Include first & last name, along with the title, genre, and word count. I highly recommend Danielle for book reviews! I was especially pleased with the competent and insightful review she did of my Home on the Range. Very professional and impressive, a privilege to be working with. Goes above and beyond the call of duty. Will be requesting more service in the future. She is sweet and cooperative. She responds promptly and with courtesy. Danielle goes out of her way to complete the job, even when it is not compensated. She is a pleasure to work with. As a relatively new author, I found myself confused and at a loss, amid the shifting standards currently overshadowing the Publishing Industry. 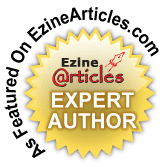 Having just self-published my first book, I was aware I needed several things; exposure as an author to help build a platform; honest, unbiased book reviews, and most importantly, guidance from an experienced and knowledgeable source. As luck would have it I came in contact with Ms. Danielle Urban, whose work I’d seen spread liberally throughout various sites. When contacted, Ms. Urban sounded eager to assist me, and graciously offered her services to review my book, explaining that her passion was assisting other authors any way she could, including free and honest book reviews for those who wished her service. Ms. Urban is engaging while remaining quite professional. She always makes herself available for questions and/or updates. I never had to wait to have my Emails informatively answered. Danielle’s guidance helped me navigate through the chaos and the turmoil, challenging most new authors emerging in today’s uncertain climate. I would highly recommend Ms. Urban’s talents to all who might benefit from such services. I, for one, feel more informed and confident from her tutelage. Since I am a published author, Danielle Urban interviewed me for her blog on writing. She also reviewed my mystery novel, PAPER DOLL (Whiskey Creek Press), and posted a review. Danielle will be doing the same for my romance novella, AN INFATUATION (Dreamspinner Press). I found Danielle extremely professional, competent, reliable, and polite. I recommend her highly. http://www.JoeCosentino.weebly.com. Danielle was great. She was responsive, friendly, and professional to work with. She was the first to review my story. She gave me a fair and well review. She was very helpful. I highly recommend her. A very good way to get noticed by others if you are new to the writing business like I am. It does work and is a real email. If you click on it it wont take out to the email. I just typed the email address for those to copy and paste when emailing to that address. If it helps i. Can post the interactive link for you. What a great service you offer! Thank you so much! Your most welcome! Thank you for letting me read your marvelous novel! I really enjoyed reading it. And I know readers everywhere else will enjoy it just as much! 🙂 Again thank you! 🙂 May God Bless you too! Thanks for stopping by my site today for a visit and for following! I am enjoying following your site as well. Looks like you have a great blog here and offer a great service. Thank you, I will definitely check out the website today. Danielle–Thanks so much for your five star review of our book “Despair to Deliverance: A True Story of Triumph Over Severe Mental Illness” on Amazon. My co-author and I are newly published and appreciate all feedback. We are so grateful for your help! Love your blog! !